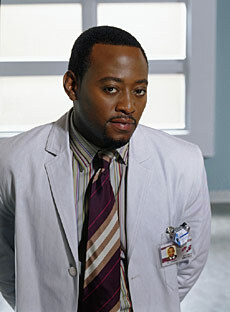 Omar Epps as Dr. Eric Foreman. Tuesdays (9:00-10:00 PM ET/PT) on FOX. Arrested for breaking and entering when he was 16. Had a 4.0 grade point. If I'm not afraid of dying, what the hell should I be afraid of, Dad." Foreman's father: "I thought you believed." Foreman: "Police issued Kevlar vests don't have the ceramic plate insert that would shatter a bullet, they would just catch it. So the bullet shattered on its own, meaning Babyshoes was using .38 caliber hollow points. Which, unfortunately, are ferromagnetic." Tritter is trying to get Foreman to testify against House by offering him a deal for his brother, Marcus, who is in prison: "You, uhm, you testify. I can make sure that Marcus goes free on parole in less than two months." "My brother and I, we grew up in the same home. But I made something of myself. He didn't."